The Judy Lopez Memorial Awards for Children’s Literature are granted annually to works of literary excellence for nine- to twelve-year-olds. 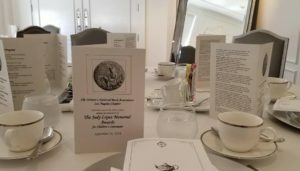 The awards are made in remembrance of Judy Lopez, a founding member of the Los Angeles Chapter of the Women’s National Book Association who was deeply interested in seeing that children’s literature of quality is recognized and rewarded. Each year, a panel of judges composed of children’s librarians and other professionals in the field of books for young readers selects a winning book and several honor books. Books submitted for the award must have been published in the United States in the year that precedes the award. The author must be a United States citizen or a resident of the United States. The medal awarded the winning book was designed by sculptor Alex Shagrin and is cast in solid bronze. The medalist and the authors of the honor books are celebrated each June at a reception and dinner held in the Faculty Center of the University of California, Los Angeles. 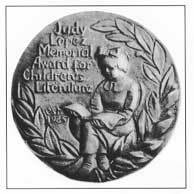 Established in 1985, the Judy Lopez Memorial Awards for Children’s Literature are administered by the Women’s National Book Association, Los Angeles Chapter, in association with the Judy Lopez Memorial Foundation. 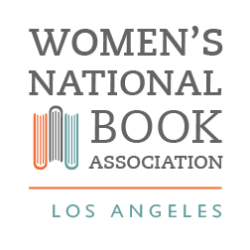 For more information, please go to judylopezbookaward.org or contact Margaret Byron Flanders @ meg_flanders@verizon.net or snail mail: July Lopez Awards Chairman for WNBA/LA, 1225 Selby Avenue, Los Angeles, CA 90024.